With a population of over one billion people and a burgeoning middle class estimated at 300,000, PC penetration in India remains low compared to other territories. What are the reasons for this? The latest data from IDC in April 2013 shows that worldwide shipments of PCs have slumped, particularly in Asia, but there’s not that much change in the sub-continent anyway where PC penetration has always been low. Markets in North America and Western Europe are approaching saturation, while the PC market in China, which has proved to be a saviour for vendors, is also showing a decline. The most comprehensive survey of PC penetration in all countries worldwide was made available on chip-maker AMD’s forums in 2009. Topping the list for PC penetration were Canada, the Netherlands, Sweden, Switzerland, the UK, Taiwan and the US. India came way down the list – up a little on Cuba, but below Guyana. What are the different factors that explain why India has never shown the spurt that most manufacturers expected? Sanjay Peer, MD of Bangalore-based company Gamlin, told me that one major factor is Indian culture. 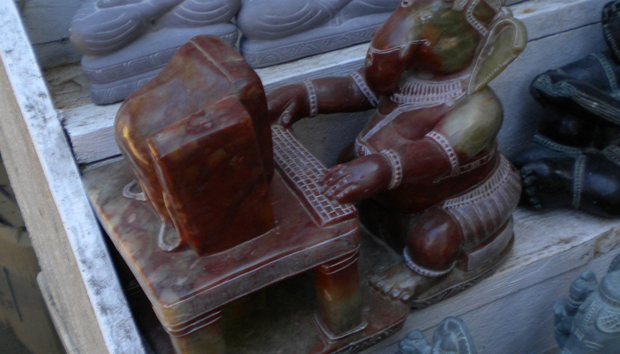 While people working in offices routinely use PCs, family is still important in India. In fact, the family space is sacrosanct, meals at home together are important and the idea of a kid going off to surf the web in a separate room is practically unheard of, except among the affluent at the higher end of the salary scale. And in a country where average salaries, even for the middle classes, are significantly lower than in Western countries, PCs are still expensive. Although they’re somewhat cheaper in the many malls that now crowd the average Indian city, the fixed costs – or bill of materials – to make PCs can’t be cut that much. A high-end notebook could be considered a luxury even in North America and Western Europe, but buying a PC for an average Indian family would make a considerable dent in many peoples’ annual incomes. And India, too, is affected by an economic slump hitting sales. There are other obstacles to selling PCs in India too. Although the government has established several Special Economic Zones (SEZs) which have tax breaks and preferential status, shipping equipment across Indian state lines can be something of a logistics nightmare, involving bureaucratic tussles. In fact, according to a recent article in the New York Times, the government itself accounts for 40% of electronic buys. It wants to encourage sales of PCs made in India, and stem imports from abroad. Dell, which has several facilities in India, assembles PCs but practically 100% of the components are sourced from abroad. Intel has a large R&D facility in Bangalore but there is virtually no component manufacturing in India, despite the government making efforts to encourage foreign companies to set up factories in the sub-continent. Infrastructure remains poor. Bangalore’s roads are choked, there are often power cuts throughout India, and component manufacture needs vast supplies of clean water. Yes, in the major metropolitan centers you can get decent broadband, but that’s an additional expense too. And then there are phones. Most analysts have blamed the decline of the PC market on the widespread adoption of tablets and smartphones. Mobile phones are omnipresent in India. On the ghats next to the Ganges on Varanasi, you will see sadhus – Indian holy men – texting their buddies while they smoke their chillums. Even poor people, and there are certainly still many of them in India, often have mobile phones with manufacturers catering to this big market by even offering units without any LCD screens, to keep the price down. For the affluent middle classes, sales of smartphones and tablets are growing. It’s almost as if the rise of mobile phone technology has totally eclipsed sales of PCs, and it looks like India may never see a significant rise in PC penetration. Mike Magee has covered the IT industry for nigh on 25 years. He is a pioneer of online journalism with a solid background of print journalism. Mike Magee has covered the IT industry for over 25 years. He is a pioneer of online journalism with a solid background in print journalism.